Chris Pratt isn’t afraid to get a spray tan for a movie role. The 38-year-old actor, who’s currently filming Jurassic World: Fallen Kingdom, showed off his faux glow on Instagram on Wednesday, July 5. “#jurassicworld trivia Which part of my body is spray tanned? You get one guess,” Pratt captioned a photo of his bronzed arms against his obviously paler legs. 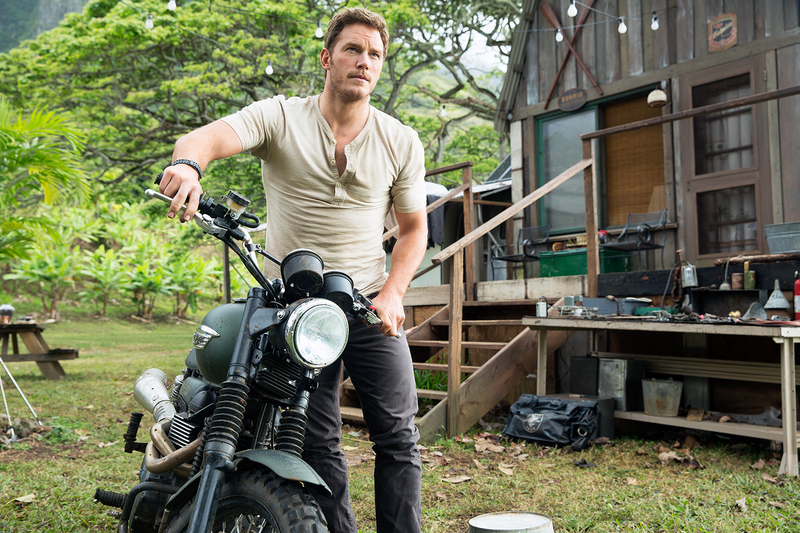 Chris Pratt in 'Jurassic World.' Chuck Zlotnick/Universal Pictures and Amblin Entertainment, Inc. It looks like he opted out of the typical full-body spray tan, instead choosing only to fake-tan his torso for filming. While the actor has been hard at work on set of the hit franchise, which is filming in Hawaii, he also made some time for fun with his 4-year-old son last week when they went fishing at Kualoa Ranch in Oahu.